While our Boston bed and breakfast is warm, welcoming, and homey inside, Boston can be quite the opposite outside. Temperatures drop, snow falls, and people seem to turn into giant puffs underneath sweaters, jackets, coats, hats, gloves and scarves. What better way to warm up with a delicious cup of hot chocolate? Sit in a big comfy chair by a fireplace or look out the window at all the poor souls walking by. The Frog Pond isn’t the only thing frozen in the Boston Commons. Thaw yourself after ice skating inside The Thinking Cup. Just steps from the park rests this wonderful coffee shop featuring award winning Stumptown Coffee. Also on the menu is the 64% Tainori Valhrona Drinking Chocolate and French Hot Chocolate. Sip your sweet treat with a pastry freshly baked in house. Another fabulous location for sinfully delicious cup of cocoa is L.A Burdick. This confectionary has locations in Harvard Square and the Back Bay. Stop in a pick up chocolaty confections to go, or eat them in their cafe with a cup of one of their many hot chocolates. With nearly ten different hot chocolates to choose from, everyone will certainly find a cup that warms them to the core. Have a cup of traditional hot chocolate with either white, dark or milk chocolate. For the more adventurous, savor a mug of their Ecuadorian hot chocolate. This drink has hints of mint, spices, and almost has a roasted taste. 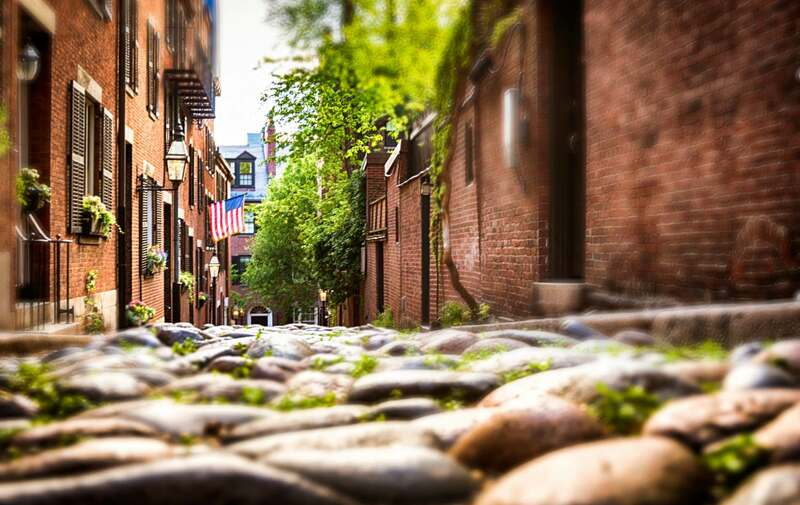 After you’ve stuffed yourself silly with scrumptious treats, walk off your snack in the South End! Clarendon Square is steps from cute boutiques, galleries and unique shops. Now that you’ve had your fill of chocolate, try Formaggio and pick up a few artisinal cheeses to devour tomorrow. But of course, if you still haven’t warmed up yet, our roof top hut tub is surely the best solution! This entry was posted in Uncategorized and tagged boston, boston bed and breakfast, boston south end, confectionary, Formaggio, harvard square, hot chocolate, L.A. Burdick, The Thinking Cup, winter by admin. Bookmark the permalink.